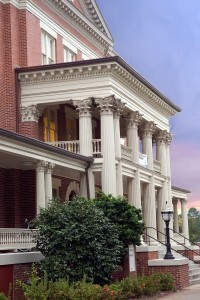 GFRC columns and pilasters were provided by Stromberg Architectural for this university renovation. Often historical buildings need a facelift, including many of its architectural components. There could be crumbling materials, such as terra cotta, limestone, and carved stone, which are no longer providing the aesthetics or structural integrity that they once had. In this case, they need to be restored or simply replaced. One of the newest materials to be used is glass fiber reinforced concrete, also known more commonly as GFRC. 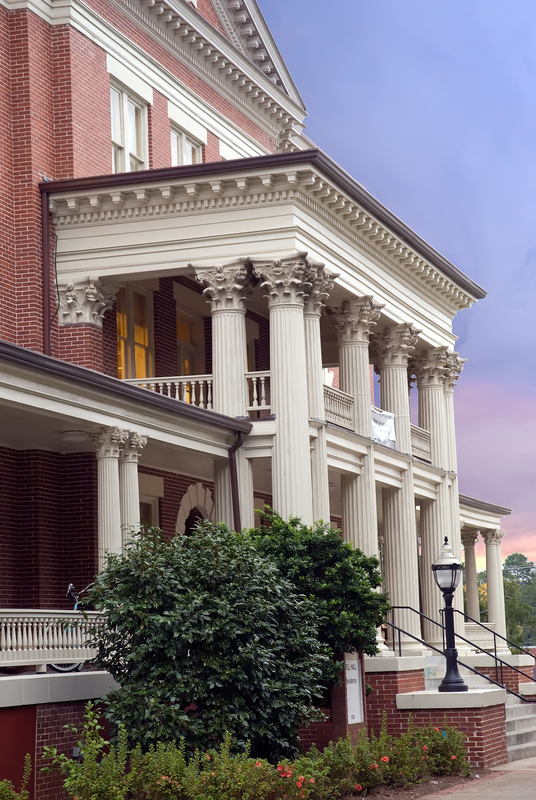 As a versatile solution for building restoration, GFRC has a list of attractive benefits and applications that is quickly making it the go-to material for a wide range of commercial and residential restoration projects across numerous architectural styles and products. You do not have to remove some of the old architectural features or building facades to use it; instead, you can simply add the GFRC material directly over the old features, such as wall cladding, columns, and some other architectural details. The glass fibers in the material add unmatched impact, flexural, and tensile strength that increases durability and sustainability of the building and its features. The material has high plasticity that allows it to be molded and sculpted into just about any shape and can be used to create very complex ornamental designs and details. Molds are created often from pictures or drawings when the designs may be too worn so that the exact design can be matched and aligned with aspects of the building that are still intact. The material is also thin and lightweight, which reduces building load and expands the applications it can be used for while also allowing for easy and quick installation to keep restoration projects on schedule and budget. The material can replicate any type of natural stone as well as metal and wood while also providing for the application of any texture or color. GFRC can also be used to restore a wide range of architectural elements on these types of buildings, such as columns, cornices, wall panels, window and door surrounds, soffits, statues, quoins, urns, furniture, railings, pilasters, copings, domes, planters and bollards. For over 30 years, Stromberg Architectural has been pioneering the use of GFRC to restore all kinds of buildings and architectural elements. We have a gallery of stunning examples as well as a catalogue of architectural products that can be customized for your restoration or new construction project. For more information or a free estimate, contact us through our online contact form or by phone at 903-454-0904.